Isaac Bonga got back on track and led the South Bay Lakers to their win against the Memphis Hustle. 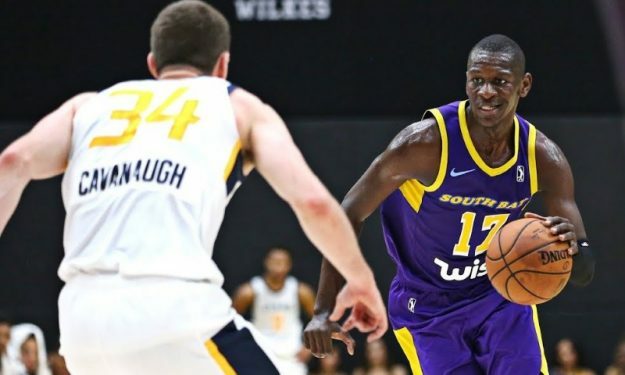 Isaac Bonga only scored 11 points in the South Bay Lakers’ two previous games, but had 20 on Saturday’s 96-94 victory over the Memphis Hustle. The 19-year-old German swingman was 8/12 from the field and also grabbed nine rebounds in 30 minutes. Alen Smailagic helped the Santa Cruz Warriors in their easy 121-89 win over the Texas Legends with 15 points. Kostas Antetokounmpo scored 14 for the losing side. In other European action, Naz Mitrou-Long poured 19 points in the Salt Lake City Stars’ 113-104 loss to the Austin Spurs.